Do you hate tapping the iPhone 4S’ Home button every time you want to open up Siri and use it? The only way Apple made Siri to be launched is by tapping the Home button, Apple didn’t put any options in the settings so you can open up Siri using other methods other than the Home button. But if you have a jailbroken iPhone 4S, you can easily put a Siri icon on your home screen(Springboard) or the deck by just downloading a simple tweak from Cydia called SiriBoard. 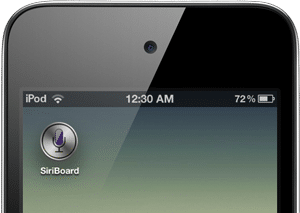 You can download SiriBoard for free from Cydia’s BigBoss repo.